In these cases, a claimant must first file a workers’ compensation claim with his or her employer, and must do so in a timely manner pursuant to Chapter 152 of the Massachusetts General Laws (M.G.L. ), and then can settle the matter with the negligent third party, their insurance company, or in the event a settlement cannot be reached, file a personal injury lawsuit against the negligent third party. As our Boston workers’ compensation attorneys can explain, one common situation in which a worker in injured by a negligent third party involves a case where the at work, or otherwise on-the-clock, an employee is injured by a negligent driver who does not work for the company. This happens a lot with workers injured at roadside construction sites. Working on the side of road is a very dangerous occupation, and this really includes any type of work as there are many different trades in the construction industry. 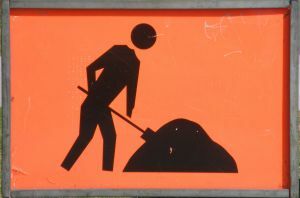 There are often accidents involving flaggers who are trained to stand in the road and slow or stop traffic when one or more lanes are closed due to ongoing construction. However, we also see accidents involving iron workers, masons, laborers, electricians, plumbers, and machine operators. The Centers for Disease Control (CDC) and its child agencies like the National Institute for Occupational Safety and Health (NIOSH), not only collect data on these accidents, but also runs programs for employers on the safety of highway workers. Though decades of data collection, the federal agency has determined there are an average of 750 highway workers killed each in year in the U.S. alone. This is in addition to many more accidents that are serious, but do not result in a fatal injuries to construction workers and flaggers. While many of these accidents are the result of typical construction accidents such as falls and even workplace violence, the majority of accidents are the result of motor vehicle crashes involving highway workers. Even though a claimant is allowed to file a civil personal injury lawsuit against a negligent third-party, they are still precluded from what is known as double dipping. This means an employer cannot obtain workers’ compensation benefits for lost wages and medical bills from his or her employer, and then collect damages for pain and suffering, medical bills, and lost wages from the negligent third-party defendant and expect to keep all the proceeds. The way this works in practice is that if a worker is paid workers compensation benefits, and then collects money via a settlement with a negligent third party, the plaintiff must reimburse the employer, or employer’s workers’ compensation insurance company for any benefits paid and then gets to keep the rest once other fees and costs of the lawsuit which are paid. This may seem unfair, but the insurance companies are very powerful and have lobbied for such a rule. This does not mean the claimant/plaintiff will walk away with nothing because they will be entitled to keep any money for pain and suffering damages as well as any additional compensation above and beyond what the workers’ compensation insurance company paid. Since pain and suffering damages are not allowed in workers’ compensation cases, and pain and suffering damages often make up a large part of a personal injury damages award, this can involve a significant amount of money in many cases. This is something that can be discussed with claimant’s workplace injury lawyer during a free initial consultation. According to a recent news article from ABC News, a teen driver was just arrested for allegedly critically injuring one construction worker and injuring two others in a hit-and-run motor vehicle accident. Authorities have said defendant, who is 17-years-old, was driving his Mazda SUV when allegedly ran off the road and crashed into the three highway workers. Following the workers’ being hit by his SUV, defendant allegedly fled the scene of the workplace accident in his vehicle. He is also alleged to have hit a construction sign while fleeing the scene of this serious workplace injury. The police were able to capture the suspect and he has been charged with various felonies including multiple counts of hit-and-run involving serious personal injury as well as being cited for various moving violations. It is important to keep in mind that while defendant has been charged with multiple felony counts, these are merely allegations and he is presumed innocent unless he is convicted of any of these charges by a judge or jury beyond a reasonable doubt or decides to enter a plea of guilty.